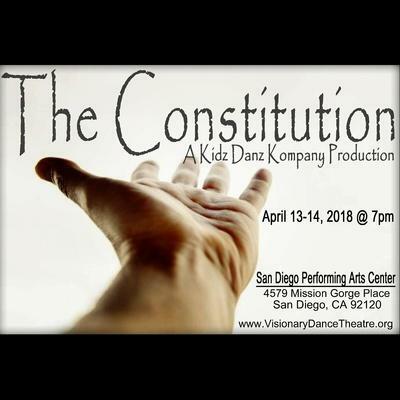 Kidz Danz Kompany, San Diego’s premier children’s dance company, presents The Constitution at the San Diego Performing Arts Center. Known for their socially conscious work, Kidz Danz Kompany will tackle American History through dance. The Constitution is a celebration of our history, thorns, roses and all. Most importantly we celebrate not only being an American citizen, but the important fact that we are also citizens of a greater world Community. The concert will end with “We the Kidz of the United States of America”. This work will ask us to be hopeful for the future of our beautiful country and the importance of freedom for America and the world! Come out and bring the whole family for a history lesson like no other. You will be moved, you will learn, and, by the end of the concert, you will be dancing in your seats!